Xiaomi had a successful 2014, the company managed to sell over a million handsets in India, and also managed to become the third largest smartphone vendor. 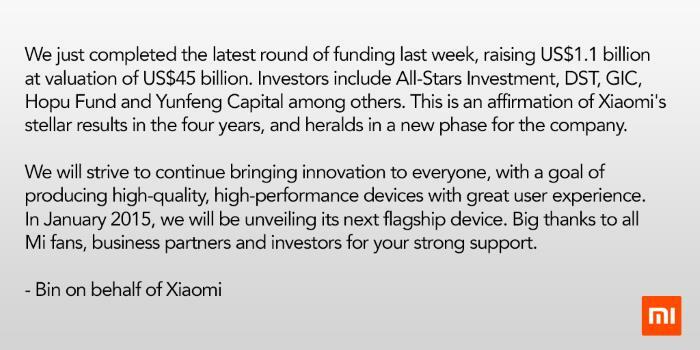 Recently, the company announced it has successfully completed its latest round of funding by raising $1.1 billion at a valuation of $45 billion. 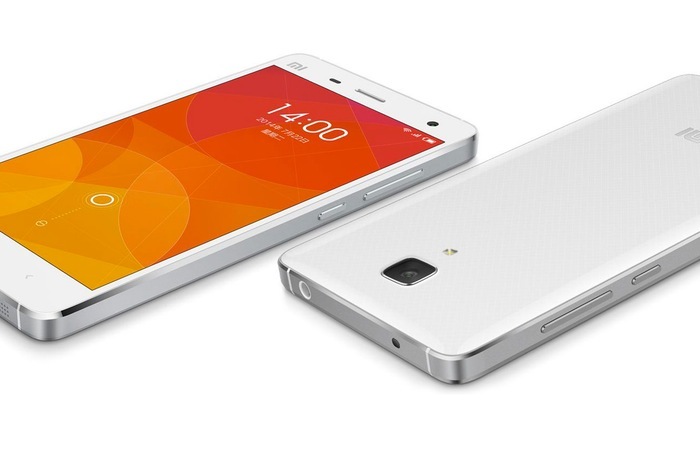 Furthermore, the company also mentioned it will announce its latest flagship device in January 2015. There’s a possibility that we may get to see the next flagship device from the Chinese manufacturer at CES 2015 next month, or it could just hold a special event to unveil its upcoming handset. The company didn’t drop any hints on what to expect in terms of design or specifications, but rest assured, it’s going to pack top-of-the-line hardware. There’s a possibility that we may see the Xiaomi MI5, or a new phablet, but these are all wild guesses. The Consumers Electronics Show (CES) 2015 will commence next week, and there are going to be a lot of exciting products from manufacturers across the globe. Samsung, HTC, Sony and LG are also expected to showcase some new devices so its going to be a busy week. We’ll keep you updated with all the happenings from CES 2015.